History is about to rhyme. Here’s how. And why you don’t want it to. 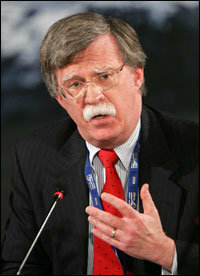 During 2002 and into early 2003, the American public, U.S. allies, and the rest of the world were treated to more than a year of strongly worded statements cherry-picked from U.S. intelligence communities by the George W. Bush administration and sophisticatedly spun together into a policy for acting to stop Saddam Hussein from deploying chemical and biological weapons and to prevent him from starting a nuclear program. That policy led to the U.S. war in Iraq. Today, in 2017, fifteen years later, the cherry picking and policy spin begins again. This time with Iran. This time, about pulling out of the Iran nuclear deal. Yet the consequences this time may be no less severe than those that have materialized since the “Mission Accomplished” banner hung above the deck of the USS Abraham Lincoln. But this President is not one to be deterred from a stated goal. Although Iran has not been in material breach of the agreement, game plans are being presented for the President to act on to pull the U.S. out of the deal even if the Islamic republic is not in material breach. According to foreign policy analyst and Iranian expert Trita Parsi, one of those game plans entails decertifying the deal if Trump can justify a claim that Iran is not implementing it. That certainly would be fair enough if Iran were caught in material breach of the deal. But as of this summer, Iran has not been in material breach, as Bob Corker, Chairman of the Senate Foreign Relations Committee, affirmed on July 26. In an interview with David Ignatius, Corker, who remains adamantly opposed to the deal, pointed out that there are technical breaches and material breaches. “[It’s the] material breaches that matter. Well, right now, they’ve had some technical non-compliance but they get back into compliance from time-to-time.” In other words, the President needs Iran to get caught in a material breach in order to argue with a straight face that Iran is not implementing the deal. Then he can legitimately decertify. The obstacle for Trump has been that Iran has been implementing the deal but he wants to tear it up. So what to do? Find a way to claim justification for decertifying the deal anyway. Parsi learned of one rationale which would do just that. It would involve using “the spot-inspections mechanism of the nuclear deal … to demand access to a whole set of military sites in Iran. Once Iran balks … Trump can claim that Iran is in violation, blowing up the nuclear deal while shifting blame to Iran.” And Iran will balk, because “the mechanism is only supposed to be used if tangible evidence exists that those sites are being used for illicit nuclear activities.” In other words, the agreement does not allow for fishing expeditions. John Bolton, another high-level foreign policy advisor, absolutely does not want the deal to continue. In a telling article in National Review titled “How to Get Out of the Iran Deal,” the former U. S. Ambassador to the UN recently laid out a detailed, five-page game plan for the kind of spin we can expect to hear from the White House and the media in the following weeks and months. Bolton, who calls the Iran nuclear deal “execrable,” was asked in July by Steve Bannon, then Trump’s chief White House strategist, “to draw up just such a game plan…, which I did.” It’s a strategy, Bolton states, “that can be readily expanded to a comprehensive, hundred-page playbook if the administration were to decide to leave the Iran agreement.” Note the meaning of that carefully crafted sentence. Bolton, who has also served at high levels in various presidential administrations since the 1980s, is no stranger to spin. He is not saying: here is a just case for pulling out of the agreement. He’s saying: if you [Trump] pull out when Iran is not in material breach, here’s how to spin your decision. It is foolish to try to predict what the next fifteen years will look like should such sound bites about Iran succeed, but if they succeed it is equally foolish to assume that consequences at home and in the Middle East will be less severe than they have been during the past fifteen years. Even if the American public only wants ponder its future on the basis of its collective self-interest, it may want to consider what would occur in the oil markets if Iran, in retaliation, not only disrupted the flow of oil out of the Persian Gulf but attacked the oil refineries in Saudi Arabia. And here we find another lesson from fifteen years ago. Despite the Bush administration’s unprecedented, multi-aspected spinning throughout 2002 to try to assure everyone of the wisdom of invading Iraq, the President still had many significant doubters, at home and overseas. To try to convince them to have faith, Bush would occasionally trot out what he called the success of the U.S. policy in Afghanistan. After all, he would say, al Qaeda had been routed, the Taliban government had been ousted, and Hamid Karzai, the new President of Afghanistan, was cooperating with the West. Well, now. The war in Afghanistan is in its sixteenth year, there is no end in sight, suicide bombings are common, the Afghans are fed up with burying their dead, the Taliban have regained strong holds in many places, the government only rules about 60% of the country, and more U.S. troops are being deployed there. Some may say: well, that’s hindsight; we want to look forward. Sure, let’s look forward. But you won’t move forward wisely apart from applying wisdom learned from past mistakes. 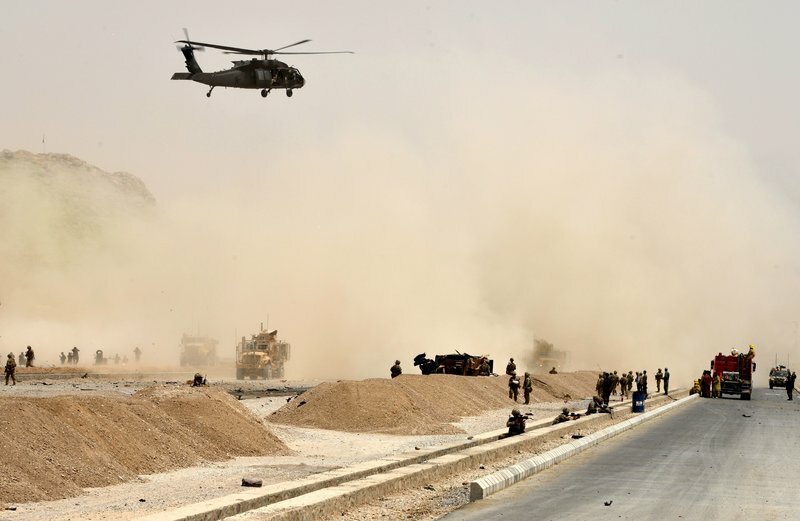 The decision not to finish the job with al Qaeda and Osama bin Laden in Afghanistan but to instead go to war in Iraq is at least partly implicated in the terrible, ongoing suffering of countless millions of Afghans, Iraqis, and Syrians. And the decision has also cost the U.S. dearly in many ways, both domestically and internationally. The American public knows this. What they may not know in the coming weeks and months is that they may be being played again. Talking to Iran is what’s needed. This, too, is another lesson to be learned from the Bush era. Well-known among the foreign policy establishments of the West and the Middle East, but virtually unreported by the news media, the Iranian government sent a formal diplomatic letter to the Bush administration in May, 2003, seeking the start of direct high-level talks on a wider array of issues crucial to improving the bilateral relations. Parsi helpfully included a copy of the letter as an Appendix in his illuminating book Treacherous Alliance: The Secret Dealings of Israel, Iran, and the U.S. The Iranians, he writes, had prepared a comprehensive proposal. It had been drafted and known only to a closed circle of decision-makers in Tehran and approved by the highest levels of clerical and political authorities, including Ayatollah Ali Khamanei, the supreme leader, who has the final say in all matters of state. ■ accept the Arab League’s Beirut Declaration for a two-state solution. ■ U.S. help against anti-Iranian terrorists. The letter closed by suggesting mutual next steps, including public statements, establishing parallel working groups, and hammering out a timetable for implementation. Since Washington and Tehran had had no embassy-level bilateral relations for a quarter of a century, the offer was unprecedented. 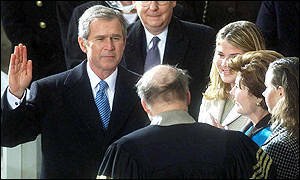 How would the Bush administration respond? Stop and think about this for a minute. As with all initial steps toward diplomacy, this one was but a starting point. Both sides would know that the proposal was not set in stone. It was merely the potential beginning of the international game of give-and-take of getting to Yes. But first the waters needed to be tested by both parties. If they liked the temperature, then some next steps might include discussing some of the items. If that process continued, long story short, items and issues in the original proposal would probably hit the cutting room floor, with the potential remaining that some items might be taken to an agreement, even if that took months or years to hammer out. Given the unprecedented nature of the proposal, it would be an exceptionally irrational move if the recipient did not engage with the sender to at least test the waters. Not only did the Bush White House choose not to do that. It immediately and rudely snubbed the reachout. “An opportunity for a major breakthrough had been willfully wasted,” Parsi concluded. Larry Wilkerson, Secretary of State Colin Powell’s chief of staff at the time, believed the mistake was huge. According to BBC News security correspondent Gordon Corera, Wilkerson afterward said, “In my mind, it was one of those things” about which you say “I can’t believe we did this,” especially at a time when Iranian vulnerability was at its greatest and Washington at its most triumphalist. That snub looms large in how Mahmoud Ahmadinejad, the radical fundamentalist politician, became Iran’s president in 2005, and also why it became so difficult, and took so many years of trying, to get Iran to the negotiating table for its nuclear program. 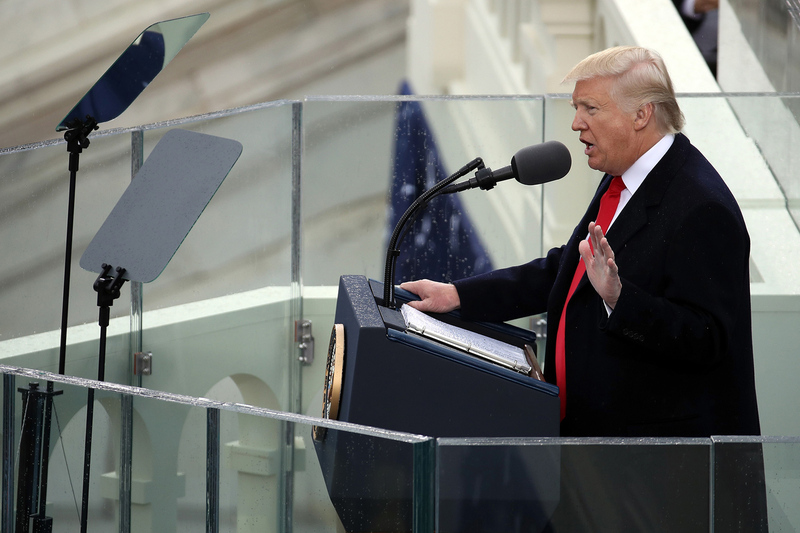 President Trump’s willingness to tear up the Iran nuclear deal seems to stem from his anger at the Islamic republic’s ongoing support of Hezbollah, its attitude toward Israel, and its ballistic missile program. 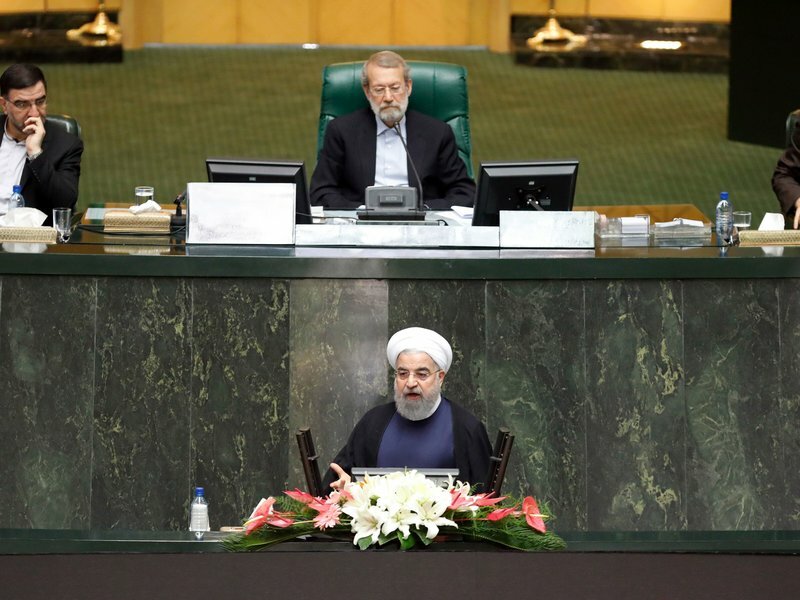 But the way to seek changes in Ir an’s behavior that would benefit the United States is through diplomatic initiatives that seek to talk with Iran about areas of concern to both countries. A huge obstacle to that today, however, is that, as in 2002, we have a White House that doesn’t want to talk but to dictate to Iran. Of course the Iran nuclear deal is not a perfect deal. Nothing done by humans in this world is. And no future deals with Iran, or with any other state, will be perfect either. It would be unwise in the extreme, however, and harmful to America, for a U.S. president not to put honest, serious, and concerted efforts into trying to build diplomatic relations with Iran. The JCPOA can be a springboard for that. It gives the P5+1 nations a verifiable framework for monitoring Iranian compliance. It give the U.S. many years to talk with Iran about other matters. And it comes at a time when Iran has recently re-elected a president who is open to talking. For Trump, Corker, Bolton, and many other influentials, the strategy seems to be: tear up the deal and enact very tough sanctions, which will force Iran to negotiate a better deal. I don’t believe that pulling out of the Iran nuclear agreement will, as Bolton wrote, create “a new reality” that will “enhance international peace and security.” I don’t believe America’s allies – possibly there will be a few exceptions – will buy that either. Pulling out would certainly create a new reality. I would be very surprised if it did not rhyme with the reality that emerged during the last decade and a half. If it does emerge, it will be yet another case of wisdom lost. We can learn wisdom from history or remain foolish decision makers. If the Trump White House refuses to get wisdom from the mistakes made by the Bush White House, God help us. This entry was posted in FOREIGN POLICY, IRAN, U.S. - MIDDLE EAST RELATIONS, WISDOM, DIPLOMACY & NEGOTIATIONS and tagged Bob Corker, George W. Bush, Iran nuclear deal, Iraq war, John Bolton, PRESIDENT TRUMP by Charles Strohmer (c) 2014. Bookmark the permalink.